Following 9/11 -and responding to a growing cross-cultural world-Presbyterian congregations are being called to play a unique role in building interfaith relationships in a religiously pluralistic world. As members of the reformed tradition, Presbyterians affirm diverse voices across the Christian world and are respectful and curious about other religious traditions. With our focus on education and theological thinking, the PC(USA) has been a leader among Protestant denominations in opening up interfaith dialogue with Jews and, more recently, with our Muslim neighbors. 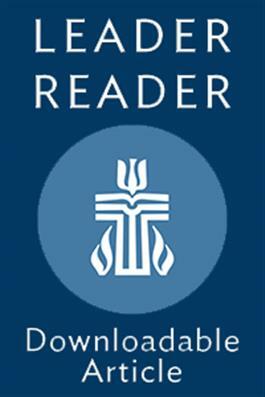 This Leader Reader examines these issues and ways that we can engage in helpful interfaith community.